Ken Wallace attended the Alberta College of Art and the Banff School of Fine Arts on scholarship. He graduated with honours in animation and painting from the Vancouver School of Art (now Emily Carr University of Art + Design) in 1973, and later taught at the University for almost 30 years. 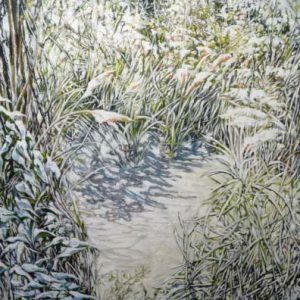 His work has been in numerous solo and group exhibitions in major public and private galleries in North America, and he has received four Canada Council Awards for painting and film. His artwork is represented in the collections of the Canada Council Art Bank, the National Gallery Ottawa, Art Gallery of Ontario, Vancouver Art Gallery and in many other government, corporate and university collections across Canada.